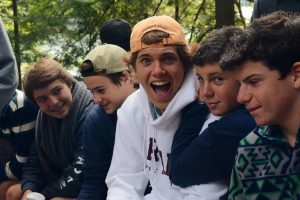 Summer camps are known for their ability to take a group of children, often unknown to each other at the beginning, and over the course of a few short months help them develop and foster deep, long-lasting friendships. In fact, the experience is so important, and so ubiquitous in our culture, that it has spawned an entire genre of movies. Residential faculty members will tell you that boarding school shares some of the same benefits of summer camps. Here are a few ways in which they are similar. A unique and impactful aspect of residential boarding programs is that they help their students establish those same deep bonds during their time on campus. Fessenden’s Assistant Director of Residential Life, Mac Jackson, spent 21 summers attending and then working at summer camps. He brings a wealth of experience to his role, and notes that “the same bonds that are formed during summer camps form here between our boarding students.” The Fessenden boarding program, Mac Jackson gestures, “takes the best of camp and the best of school and puts them together.” Boarding students share a home and learn to live, laugh, and learn with each other along the way. Fessenden’s boarding program has a major impact on the entire community. The residential component creates a closeness among students and faculty that influences the entire school. Because of the inherent closeness of students, faculty, staff—and even dogs—the boarding community models the kind of deep positive relationships that parents want their children to experience. Living away from home also provides the opportunity for young boys to learn important life skills. This experience allows students to “learn how to manage their time, make decisions, and experience new things on their own,” says Mac. This process helps boarding students mature in ways that their day student counterparts may not. It also allows them to become role models on campus and help shape a positive community where all members can find a place to grow in a safe and supported way. 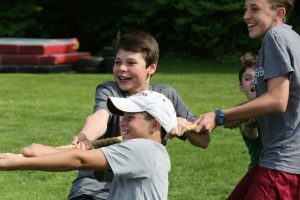 The reality is that the Fessenden boarding community is a place where boys can have fun, develop lasting bonds, and get the structure that they need to be successful students and leaders. Have you or your children been to summer camp? Did you notice any parallels or similarities? Tell us in the comments section below. Why are Sports Mandatory at Most Junior Boarding Schools?